Apple Watch, AirPods, and Beats combined would make 'Apple Wearables' a Fortune 500 company. So spake Tim Cook during Apple's Q2 2017 financial results call. It's a bold statement but also a necessary one. Despite last quarter making it time to admit Apple Watch is a success, last week media and financial hot-takers were once again tripping all over themselves and their logic to declare Apple Watch once again beleagured. Or doomed. Or whatever else fit their narrative. Meanwhile, Apple was not only enjoying twice the Apple Watch sales success as last year, the company was building on its wearable products like with the newly-released AirPods and the newly updated Beats wireless headphones. Building on the momentum from the holiday quarter, Apple Watch sales nearly doubled year over year. Apple Watch is the best selling and most loved smartwatch in the world and we hear wonderful stories from our customers about its impact on our fitness and health. We're also seeing great response to AirPods with a 98% customer satisfaction rating based on a recent Creative Strategies survey. Demand for AirPods significantly exceeds supply and growth in Beats products has also been very strong. In fact, when we combine Apple Watch, AirPods, and Beats headphones, our revenues from wearable products in the last four quarters was the size of a Fortune 500 company. 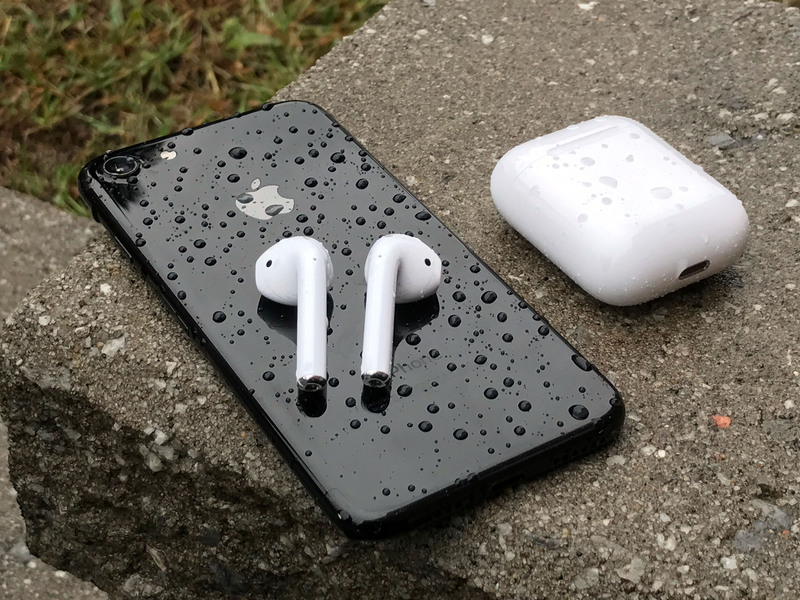 At least in the case of AirPods, though, it seems like customers are not only currently finding them worth the 6-week wait, but finding them worth recommending in spite of it. And I think it's easy to see why: AirPods are truly delightful. The controls can leave a lot to be desired at times, but there's a euphoria that comes from being truly wireless. It feels freeing — almost humanizing. Once you start using them, you never want to be tethered to a device, or have buds tethered to each other, again. AirPods are also a gateway to augmented reality. Most people talk about visual AR, but audio AR could be here in faster and be a lot less obtrusive than glasses or spectacles, taking commands and overlaying information through sound. It's anyone's guess when the pundits will wake up their tired narratives and realize it, but wearable technology is an incredibly important space and right now it seems like Apple isn't just ahead, but accelerating.